TGIF...maybe that should become my mantra! lol All the greetings I have for Fridays are so cliche! I'll just use TGIF from now on ;o) Cliche or not, it will suit my posts well, as I always welcome Fridays!! 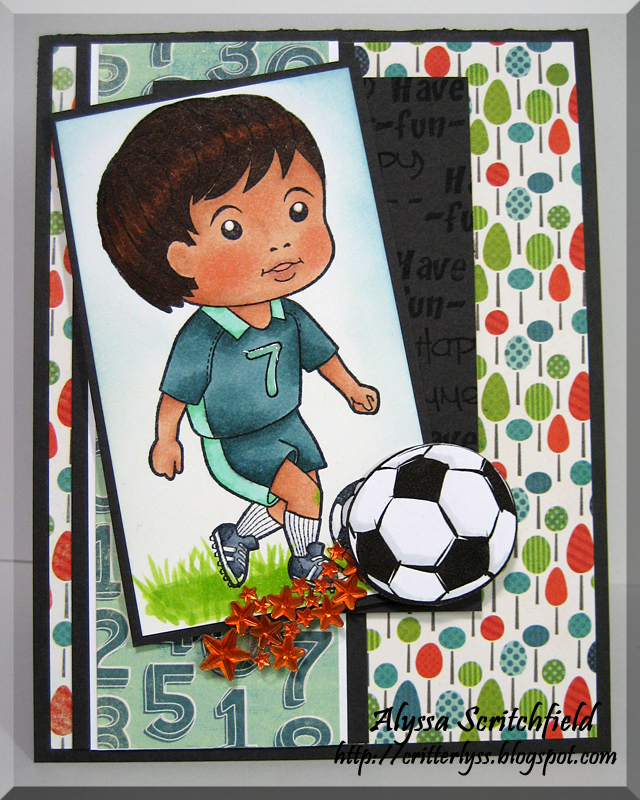 Alyssa here with a little cutie patootie from La La Land Crafts - Soccer Luka. 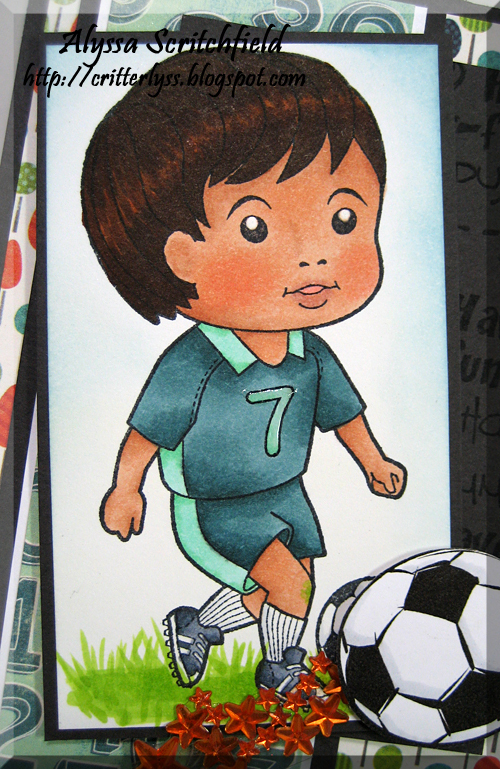 This little guy holds a special place in my heart because just the other day, we signed my little guy up for soccer lessons. 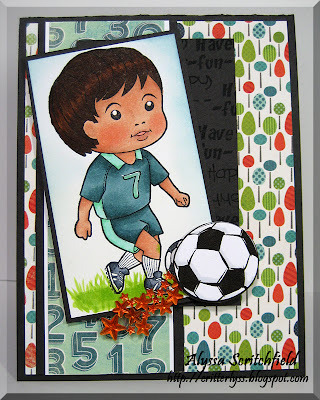 This is such a darling stamp, I can see it being used for scrapbook layouts in the future! !